The 33-400 Directional Snap Top is the ideal closure for controlled directional dispensing of sauces, condiments, spreads, jellies and honey. With a stay clean lid that opens wide, consumers will not have to worry about the lid interfering or getting messy while dispensing the product. The closure has an elongated spout to direct product flow and provide a clean product cut off with every use, delivering the ultimate in dispensing convenience. The interview below was originally published in the Plastic Caps and Closures Market Report by Plastics News. Q: How have trends in materials and technology evolved over the last five to 10 years relative to the design and production of plastic caps and closures? A: Stemming from consumers’ busy lifestyles and demand for more sustainable solutions, along with convenience, CPGs have called upon their partners to develop innovative solutions. Like Aptar, many packaging companies are offering PCR and other more sustainable resins; however, their limited offering and cost can still be a big barrier for adoption. Therefore, in parallel to these material initiatives, Aptar has also been working on technologies like “Stay-With” where the tamper band stays attached to the bottle throughout its life cycle, further ensuring it won’t get lost once the package is disposed. Q: In 2018, what is fueling growth in the caps and closures segment in North America? A: With consumers demanding further convenience, we see brands investing more in functional dispensing solutions. By converting non-functional packages into convenient dispensing solutions, consumers can get maximum value and functionality out of their products. When positive packaging feedback is given, it sparks continued growth in the caps and closures segment. A key example is the Daisy sour cream inverted flexible dispensing pack. Not only does Daisy stand out on the shelf, but consumers clearly appreciate the ease of use the new package brings. Another example is improving the consumer experience in moving from unspouted to spouted pouches in granular categories such as sugars and sweeteners, seeds, snacks, and others, where EZ Pour can provide great value. In addition, the caps and closure market represents a great vehicle to embed connectivity in consumers’ everyday life and further enhance brand-consumer engagement through data management and instant feedback. Aptar has recently introduced a new line of connected solutions (cDevices) for the pharma market, which provide convenience and actionable feedback to patients and providers. Q: Lightweighting continues to be a key market trend. With a goal of getting more performance out of a cap that weighs less, what role do materials play in product development? A: Materials play a key role in product development, closure performance, and functionality. Aptar is constantly investing in research and development both internally and through partnerships in order to have access to the best material technology and deliver top-of-the-line solutions. We tap into expertise around the world to develop custom innovations with a variety of thermoplastic resins. Given that the discussion on material weight is mainly dependent on packaging type, end-user needs, nature of each product, and distribution channels, resin reduction and light-weighting technology is an integral part of our product development process. Q: How is Aptar able to tailor product solutions toward a customer’s specific needs? A: Overall, we keep the end user at the forefront of our work. By studying consumer behavior, we can identify the challenges they face and create concepts to address them. Aptar has technology platforms to support customers and tailor solutions to each specific need. These concepts are then presented to consumers in order to get insights before moving onto final solutions. Q: E-commerce is more than just a trend and processors must develop products that will ensure products arrive safely, without leakage or other issues. How is e-commerce impacting the design and production of caps, closures and fitments? A: The fast growth of e-commerce is pushing brands to rethink their packaging, which was originally designed for the traditional and simple brick-and-mortar supply chain. When combining the new challenges packaging faces today with what lightweighting packaging went through during the past several years, it is easy to understand why many companies struggle to find solutions. In fact, most CPGs assume excessive protective packaging will solve the issue, but this approach does not address the root cause and impacts bottom lines and the environment. In-depth technical expertise in this area, in addition to industry knowledge and application experience, has enabled us to deliver solutions that address the challenges CPGs are facing. Brands should look for suppliers that focus on solutions for primary packaging that not only suit the needs of the traditional supply chain, but also of the e-commerce supply chain. A holistic approach is needed to develop simple and elegant solutions that ensure great consumer experience, and in turn, increase brand loyalty. Q: Aptar has developed an innovative preservative-free multidose squeeze dispenser. How is this and products like it shifting the landscape in caps and closures today? A: Science suggests that preservatives have significant side effects that can harm patients and consumers. Within its Pharma segment, Aptar has developed expertise around dispensing systems suitable to handle non-preserved formulations as well as those with a reduced preservative concentration. Aptar’s Multidose Preservative Free Dropper, for example, made a huge impact in the ophthalmic industry. Dispensing systems for unpreserved medications are a clear must-have in Europe and Latin America, but are also catching increasing attention, and shelf space, in the US. We see the Multidose Preservative Free Dropper on consumer products, such as Prestige Brands’ Clear Eyes®, but also on prescription medications, such as Allergan’s Restasis®, contributing to a shift in perception of the US consumer and patient. Restasis® is the first and only ophthalmic medication with this new technology that has been successfully reviewed and approved by the U.S. Food and Drug Administration. The unpreserved product trend is progressing to sensitive topical dermal applications as well, which is also following the trend of reduced preservatives in creams and formulations for skin. It has become an important element of brand differentiation. Q: How are trends toward pouches impacting trends in the design of caps and closures today? What innovations is Aptar developing in this area, such as its EZ Pour? A: Brands and consumers are increasingly preferring flexible packaging over rigid packaging and non-functional flexible formats due to the many benefits that lead to added convenience. Solutions that provide easy-to-open and reseal, hygienic and precise dispensing are good examples of solving consumers’ needs through a standup pouch format. Q: Dispensing systems are a key area as consumers seek products that offer security and simplicity. What are some of the trends and opportunities we see today in dispensing closures to meet market demands? A: Consumers want packaging that is easy and intuitive to use, safe, cost-effective, and sustainable. Consumers are seeking healthier products, buying online, and consuming them on-the-go. These trends are changing the way they interact with packaging. Dispensing solutions play a key role in providing consumers a safe and convenient experience with their favorite products and brands. Advancing tamper-evident designs continues to be of monumental importance, especially to food and beverage packaging. Tamper-evident designs should provide a clear visual indication if the package has been violated. In addition, having a reliable sealing system in place and adding counterfeit deterrent features also play a big role in providing product safety. Aptar’s BAP (Bonded Aluminum to Plastic) is a great sealing and counterfeit deterrent technology that is applicable to a variety of categories and packaging formats. Besides giving consumers the peace of mind of a safe product, it also gives brands the opportunity to accentuate their brands and delight consumers through packaging innovation. Q: What is essential to driving value across the plastics supply chain today, and more specifically, within the caps and closures segment? A: Product functionality, as well as the shape and size of the pouch, comes into play when choosing the right closure and the features it must deliver. A great example of driving value across the supply chain is found in the building and launch of the Standcap inverted premade pouch. The packaging is a result of a cooperation between film, pouch converting, closure suppliers, and co-packers to ensure a success for the brand. The Standcap inverted premade pouch provided by Glenroy is an example where the functionality of the pouch can influence the design, shape, dispensing performance of the closure system. Aptar provides the closure with the choice of various SimpliSqueeze® valves, and the ring pull tamper evident fitment. Q: Sustainability remains a key focus on the caps segment today. What innovations are enhancing the recyclability of caps and closures? A: Flip top solutions can provide a new sustainable option for consumers. Using the product without needing to remove the closure from the package enables the closure to go through the correct recycling stream. In addition, it supports CA Bill 319’s sustainability mission of increasing the percentage of closures recycled and reducing loose closures in nature. One example is our technology called “Stay-With” where the tamper band stays attached to the bottle throughout its life cycle, further ensuring it won’t get lost once the package is disposed. Q: How are materials impacting design and innovation in caps and closures? A: Choosing the right materials, especially resin grades, is very important in the design and functionality of closures. Options such as EZ Pour for stand-up pouches are a great example where onepiece dispensing features incorporate an easy-to-remove ring pull tamper evident membrane while providing rigidity and strength to the flip lid hinge. In addition, the resin choice needs to be compatible with film laminates to ensure security and seal integrity to the pouch. With the use of special resins, we’ve been successful in significantly reducing plastic by moving from the common two-piece overcap and spout design to a feature-rich, one-piece design. Q: What is your outlook for the North American caps and closures market in the year ahead? A: As consumers continue to demand convenience and functionality from their packaging, we expect to see a continued acceleration of the conversion of non-functional packaging to functional formats such as dispensing spouts on stand-up pouches, dispensing closures, and dispensing pumps. In addition, we will continue to see brands pursuing more sustainable packaging solutions that help them achieve their sustainability goals, as well as provide environmentally-focused consumers with solutions that fit their lifestyles. Dave Johnson is the director of global business development, flexibles at Aptar Food + Beverage and has been with the company for more than 10 years. Dave drives new market and product development opportunities and leads a cross-functional team of sales, product development, and operations at the company. With over 10 years of industry experience, Dave is a regular presenter on packaging innovations and solutions at global conferences, such as Global Pouch Forum and Plastic Caps and Closures. This article has also been published in the Packaging Strategies October 2018 issue. As e-commerce continues to grow, consumers are putting greater pressure on retailers and packaging manufacturers to lessen the impact that packaging has on our environment. According to GlobalData (globaldata.com), ethical packaging has become a more mainstream “must have” quality when purchasing a product. Sustainability-conscious consumers are seeking packaging that aligns with the circular economy concepts of designing out waste and pollution. Today, excess waste from the e-commerce supply chain is piling up in garbage and recycling bins around the world. Mixed in with unnecessary tertiary packaging waste are the damaged products that did not survive the e-commerce supply chain. Brands and retailers are taking extreme measures to protect packages that have not been designed to withstand the rough e-commerce distribution. They are taping spray nozzles, bagging liquid products and securing rigid lids to address the common issues of products leaking, caps untwisting and rigid packages cracking. Additionally, brands are using excessive tertiary packaging to protect goods. Besides creating an unpleasant unboxing experience to consumers, tertiary packaging creates waste since it is not always recyclable and often discarded upon arrival. Energy waste is one more factor that needs attention. When products are damaged during shipping, not only are the products themselves ruined, they often end up in landfills, and the energy used to create, transport and dispose of the products is wasted. To replace the damaged item, additional energy is used to manufacture one additional item, its packaging and protective packaging as well as the additional carbon emissions generated from transportation. The hashtag #packagingfail has grown in popularity on social media as shoppers continually receive single items inside enormous boxes with excess air pillows or have to untape, unbag and break down excessive packaging. There are many protective layers used in today’s shipping practices but, the truth is, it’s not all needed. E-commerce giants such as Amazon are actively working to address issues of oversized boxes and protective packaging through the Amazon Packaging Certification program. A 2017 press release stated that the program contributed to eliminating 181,000 tons of packaging and 307 million boxes since its launch 10 years ago. While this addresses some of the waste issues, the responsibility also falls on manufacturers, suppliers and CPGs to reduce product waste and minimize excess tertiary packaging. Packaging companies can make a difference by collaborating with retailers like Amazon. One way to do this is through Amazon’s Packaging Support and Supplier Network (APASS) program. With this certification, packaging companies provide services directly to vendors, sellers or manufacturers related to packaging design and testing in compliance with Amazon’s guidelines and certification test methods. In addition, packaging manufactures also have the opportunity to partner with regulatory agencies to set standards for recyclability through public policy. Companies should also consider partnering with waste management suppliers to better understand the recycling stream and to play a role in educating our communities about recycling practices. When it comes to responsible packaging, a “Design for Sustainability” (D4S) approach is key for the development of future products. Companies need to consider how a product should be designed according to where it will have an impact along its life cycle. Companies can also implement an eco-design approach using lightweight designs that will still withstand the rough e-commerce shipping and handling supply chain. They can also start to reduce the use of raw materials and seek opportunities to use mono-materials to improve the recyclability of the product at the end of its life. Identifying and using renewable energy sources, such as solar and wind power and hydroelectric energy, are additional sustainable practices that manufacturers can implement. CPG brands should also look to partner with packaging companies that provide e-commerce–capable solutions such as sealing technologies, locking actuators, snap-top closures and pouch fitments. These solutions are engineered to withstand the vibrations, pressure changes and drops that occur in the e-commerce supply chain, therefore reducing product waste. By rethinking primary packaging for the e-commerce supply chain, brands can reduce secondary and tertiary packaging waste, energy and damaged products. While a primary packaging redesign is an upfront investment, brands that significantly lower charges associated with shipping damage will contribute to downstream savings and bottom-line efficiencies. By partnering to reduce e-commerce packaging waste and to create design solutions that suit both brick-and-mortar as well as e-commerce business models, brands will see fewer effects to their bottom line associated with damaged products while providing consumers with the e-commerce experience they deserve. Jerome Magniet is the President of Global Market Development – Food for Aptar Food + Beverage. He has 20 years of experience in innovation and renovation strategies, marketing, R&D, and people development. Prior to his current role, Magniet spent 17 years at Nestlé and held multiple roles with international assignments, including the innovation program director where he was responsible for breakthrough innovations across the value chain for systems and products. Visit www.aptar.com, and follow Aptar on LinkedIn and Twitter at @aptar. Daisy Brand Sour Cream recently recognized Aptar Food + Beverage as their Supplier of the Year for 2017. Aptar’s site in Mukwonago, Wisconsin supplies the closure, valve and ring-pull fitment for the Daisy Squeeze Sour Cream pouch. Aptar was given the award in recognition of our outstanding working relationship in the areas of quality, delivery and customer service. Aptar departments that were recognized include customer service, quality, plant management, project management and engineering. The five-time award-winning Daisy Squeeze Sour Cream pouch is a revolutionary package design, featuring an innovative dispensing solution by Aptar. The sleek-looking closure features a SimpliSqueeze® valve, providing a clean and controlled dispense. The dispensing solution also includes an easy-to-remove tamper evident pull-ring. The new sour cream package boasts “no spoon required” further highlighting the convenience and ease of sour cream in an inverted pouch format. Flip Lid by Aptar is a uniquely simple, consumer friendly dispensing closure designed to promote post use recycling. Flip Lid remains united with the bottle through its lifecycle, making the closure more likely to be collected and sent through the recycling stream with the container. Flip Lid meets requirements of proposed regulations in Europe and AB 319 California in the USA, which requires plastic closures to remain attached to containers, thereby increasing the number of closures being collected and recycled. This launch is likened to the transition from tear-off tabs to stay-on tabs for the cans market in the 1970’s. Because the tear-off tab was such a small piece, it was not being collected at the recycling facilities, leading to leakage. This problem was addressed as the industry replaced the tear-off tab with the stay-on tab, which remains prevalent to this day. In addition to the environmental benefits, Flip Lid creates a convenient and enjoyable experience to consumers. They no longer need to unscrew the cap, but simply flip it open and drink or pour the product. Consumers will also enjoy the pleasure of drinking with its wide (270 degrees) lockage hinge, in addition to the assurance of resealablity with an audible “click”. Convenient, simple, and hygienic, Flip Lid is set to become the preference of brands and consumers worldwide. Flip Lid guarantees filling line efficiency as a shared solution with Krones. Visit our website and contact us at info.fb@aptar.com to learn more about Flip Lid. This article has also been published in the Food Logistics Magazine, Sept. 2018 issue. The method of transporting products to traditional retail stores has been perfected down to a science over the years. Identical products pack neatly into one corrugated box; boxes stack tidily atop one another to form a calculated cube that ships on a skid to the retailer. Seldom do products arrive damaged as they have been optimized to be shipped and sold in palletized units. However, the game changes with the e-commerce supply chain. To reach the consumer’s doorstep, food and beverage products may go through three times as many touch points as the traditional retail supply chain, which has been proven to negatively impact today’s primary packaging. When consumers receive a damaged product, not only can it reflect poorly on the brand, but many times, the brand is charged for reshipping, repackaging, and damages to any other product in the shipment. To diminish the risks of damaged products during transport, brands and online retailers may implement tertiary packaging such as air pillows, bubble wraps, shrink-wraps, etc. While this does help to better protect the product, it can significantly affect profitability due to the total cost increase, while also creating an undesirable unboxing experience to consumers. In addition, the excess plastic is not environmentally friendly and makes the shipping process less effective with less items fitting in each box, considerably increasing carbon footprint. As brands increasingly become aware of these challenges, they have the opportunity to further improve the performance of primary packaging, and in turn, improving the brand’s bottom line. Statista shares that U.S. food and beverage e-commerce revenues are projected to grow to $25.9 million by 2022, which is more than double 2016’s revenue of $11.6 million. To keep up with the radical growth rate of e-commerce, it is important that food and beverage brands start to consider adopting primary packaging that is designed to withstand this rigorous supply chain. Fortunately, brands do not need multiple packaging formats for the different retail channels as primary packaging can be engineered for e-commerce distribution and brick & mortar stores, simultaneously. In the short term, brands will benefit from collaborating with suppliers who are knowledgeable about e-commerce testing protocols. One example is ISTA 6-Amazon.com-Over Boxing, which mimics how a package responds to shipping conditions, by simulating drop impact, vibrations, and temperature fluctuations. Furthermore, brands can count on packaging suppliers who participate in the Amazon Packaging Support and Supplier Network (APASS). These suppliers provide exclusive services related to packaging design and tests that comply with Amazon’s guidelines in order to help vendors, sellers, and manufacturers receive certifications such as Frustration Free Packaging (FFP), Ships-in-Own-Container (SIOC) or Prep-Free Packaging (PFP). Aptar is a leader in innovative packaging concepts and is committed to addressing the challenges of primary packaging imposed by the e-commerce supply chain. Aptar is also an Amazon APASS supplier. As the majority of the food and beverages packages are not at a point where they can receive FFP or SIOC certifications, designing a new package that is PFP (Prep-Free) is not only possible, but also worth pursuing. Benefits of the certification include decreasing total cost per shipment, as PFP-certified products do not need excessive protection and additional labor, as well as highly increasing consumers’ satisfaction. In addition, PFP-certified packages also minimize the use of plastic, while allowing for a more efficient shipping process, with no returns due to poor performance. The future is bright for brands pursuing primary packaging designed to sell and ship on the e-commerce channel. Embracing the new needs of e-commerce and collaborating with strategic suppliers who can help brands to rethink packaging, will not only give consumers the e-commerce experience they expect and deserve, but also help brands to improve their bottom line with a competitive advantage for many years to come. Mark Kitzis is the president of Aptar Food + Beverage North America and has 22 years of packaging experience in both rigid and flexible packaging. Prior to his current role, Mark was General Manager, VP Global Accounts, and VP Research in the packaging industry. Please visit www.aptar.com and follow Aptar on LinkedIn and Twitter at @aptar. Aptar’s new sport cap called UNO 38mm is a one-piece closure made of PP to suit the requirements and performance of the flip-top design and to provide the option of translucent or opaque colors. UNO provides one-hand opening and eclosing and is available in two 38mm neck finishes: 3-lead and 2-lead thread starts. To address these customer and consumer needs, Aptar has developed UNO, a liner-less flip top, plug-seal sport closure for PET bottles, based on the success and market acceptance of the Original sport closure family, offering a visible tamper evident and comfortable drinking spout. UNO 38mm is suitable for H2O2 sterilization for juice and dairy beverages, using the following aseptic equipment suppliers: Krones, Serac, KHS and GEA. Uno also fits Claranor Puls’Full Cap® sterilization with pulsed light. UNO is adapted for ESL>60 days and high acid aseptic lines after successfully passing the testing requirements. UNO 38mm by Aptar provides safety and convenience for on-the-go beverage consumption for children and active adults alike. Consumers looking for natural and healthy beverages can now enjoy convenience, in today’s traditional premium water brand packaging. Give consumers a superior drinking experience with Uno 38mm sports closure. Visit our website to learn more about Uno, and request your samples today! Aptar is delighted to have the opportunity to provide the Pack Expo audience with insights on e-commerce packaging. As consumers continue to demand convenience in every step of their shopping journey, e-commerce has been challenging the CPG’s to adapt to this demanding business model, where the supply chain is longer and much more complex. Besides giving the audience a thorough understanding of the e-commerce supply challenges, and how they are impacting brands in different levels, this presentation will give the audience valuable recommendations on how these challenges can be overcome with packaging innovation. Aptar will also leverage examples of products that are on the market today and talk through what makes each of these packaging successful for this demanding industry which continues to grow at an incredible rate. Join us for this free lecture and learn more about e-commerce packaging on Sunday, Oct 14 at 1pm. The Innovation Stage is located at N-4585. After the presentation, stop by Aptar’s booth at N-6261 to meet the presenters and check out the latest in packaging innovation that is growing brands worldwide. Contact us at e-commerce@aptar.com or visit aptar.com/e-commerce to learn more about how Aptar can help you optimize your packaging for e-commerce. Aptar Food + Beverage will once again participate at the Gulfood Manufacturing tradeshow in Dubai from November 6-8. We look forward to showcasing our wide range of dispensing solutions and technologies to brands in the Middle East. Meet us at booth E2-13 (Hall 2) and discover our wide range of innovative packaging solutions that are delighting consumers worldwide with differentiation, safety and convenience. Dual Pour: an innovative transparent closure with colored insert, designed to differentiate edible oils on the shelf and give consumers a superior oil dispensing experience. Neo: A customizable closure that features an in-molded scoop. Neo has been especially designed for infant formula consumers as it provides a hygienic application and product integrity. Available in 99mm and 127mm. Uno 38mm: A one-piece sports cap that provides transparency to brand thanks to its PP material. Uno is suitable for both H2O2 decontamination and Claranor Puls’Full Cap® sterilization. Flip Lid: a uniquely simple and child-friendly beverage closure designed to remain united with the bottle through its lifecycle, helping to increase the percentage of closures being recycled. Contact us at info.fb@aptar.com with any questions, and we look forward to seeing you at Gulfood! This article has also been published in the Packaging Technology Today, Sept. 2018 issue. There’s a shift underway, and whether you work for a CPG brand, in retail, or in packaging, you know that e-commerce has become a major part of our everyday lives. E-commerce allows us to engage with our customers and consumers in a new way. It creates a whole new conversation with the brand owners, and that is driving innovation. As consumers continue to demand convenience in every step of their shopping journey, online sales for consumer packaged goods is projected to grow at an incredible rate. In 2017, the U.S. Commerce Department reported the strongest year-over-year growth for e-commerce in six years as consumers spent more than $450 billion in online retail purchases. E-commerce gains accounted for nearly half of all retail sales growth last year. Statista estimates that fast-moving consumer goods’ (FMCG) e-commerce sales will account for 17.5 percent of total global retail sales by 2021. As important as it is that CPG’s optimize the online shoppers’ experience when purchasing products, it is also intrinsic that they provide consumers a positive experience when the products arrive at their doorsteps. There are areas of improvement that can benefit CPGs, online retailers and consumers alike. One example is the adoption of a primary packaging strategy designed for the e-commerce supply chain. Most CPG product packaging is currently meant for the traditional shipment to distribution centers or backrooms before being presented on shelves in brick and mortar stores with very few touchpoints along the way. When shipped via e-commerce, it’s a different journey with five times as many touchpoints, challenging primary packaging to withstand the harsh shipping and handling conditions of the e-commerce supply chain. Over the last 10 to 15 years, brands have been striving to reduce costs by developing lighter-weight packaging and using less material. Some brands were very successful at doing so, but it can reach a tipping point where packaging becomes too fragile. What may be a sufficient package design for shipping across the country neatly packed with identical products, might not work as well when random items are thrown in a box together and tossed on a consumer’s doorstep. When it comes to products with dispensing systems, these packages can face many challenges: closures disconnect from the package, breaking of closure, lost overcaps, unintended actuation, sealing failures, and much more. These problems result in product leakage, cause damage to other items inside the box and lead to chargebacks to CPG companies that cut into the bottom line. Not only do brands end up reimbursing chargebacks for their own damaged products, but payment for other items ruined, shipping charges and other related costs also become the CPG’s responsibility. To mitigate the risks of damaged products during transport, online retailers may implement tertiary packaging. This includes shrink wrap, bubble wrap, plastic bags, air pillows and double boxing. It is meant for protection, however, it also increases the total costs as more materials and labor are required, once again significantly affecting profitability. Ultimately, tertiary packaging is not solving the problems CPG brands have with packaging that’s inadequate for e-commerce. It’s a temporary patch to cover up the underlying issue. Even when protective packaging gets the product to the consumer’s home without damage or leaking, it still creates an undesirable experience. Online shoppers must deal with the supplementary packaging and dispose of the waste on their own. This will disappoint environmentally friendly customers while causing frustration as consumers struggle with unboxing, unwrapping and unsealing multiple layers. A better approach to the challenge involves improving the primary package so it withstands the rigors of the e-commerce supply chain. This could involve packaging that’s more durable or adopting innovative options and technologies designed to make the product e-commerce capable. Leaders in the packaging space are hard at work developing solutions to help brands protect products during shipping while simultaneously creating an end user experience that delights. For example, brands could implement user-friendly sealing technologies, closures, pumps and fitments designed to prevent sealing failures or accidental dispensing in transit while still providing a great consumer experience. The questions most CPGs grapple with are when and how to address the shift to e-commerce. Is it too soon to start emphasizing e-commerce packaging when traditional retail consumption still makes up the majority? Is it possible to develop packaging that works for both channels? Not only is it possible, it’s necessary. In order to succeed with a primary packaging strategy that addresses the multiple challenges imposed by e-commerce, it is key that CPG brands work with partners who can advise them on the best course of action. Identifying trusted suppliers who understand the standards that need to be met, have the knowledge of testing protocols and procedures that large online retailers have in place, the ability to help conduct proper testing, as well as solutions and technologies ready to be implemented, are the key to success. Expect to see standards become more stringent as e-commerce expands its reach into consumer goods and e-tailers raise the bar. Amazon introduced ISTA-6 protocols, which are designed to assist brands and suppliers in evaluating the capabilities of a package to withstand the physical demands of the e-commerce supply chain. ISTA 6-Amazon.com Over Boxing procedures simulate shipping from an Amazon fulfillment center to a consumer’s door. It uses drop tests, vibration testing and integrity tests for leak detection. When meeting the criteria, the packaging earns Prep Free Packaging (PFP) certification from Amazon, which means it can be placed in an over box with other items while requiring no extra labor or materials at the fulfillment center. Primary packaging can also achieve ships-in-own-container (SIOC) and Frustration Free Packaging (FFP) certification from Amazon. Brands don’t need to navigate all these changes alone. Packaging suppliers that participate in the Amazon Packaging Support and Supplier Network (APASS) can provide services related to packaging design and testing in compliance with Amazon’s guidelines and certification test methods so packages can obtain certification as Frustration Free Packaging (FFP), Ships-in-Own-Container (SIOC) or Prep-Free Packaging (PFP). Aptar is one of many manufacturers committed to addressing the challenges in primary packaging imposed by the e-commerce supply chain. Embracing the changes in demand and counting on strategic partnership to create primary packaging solutions designed for e-commerce will certainly help brands improve their bottom line and have a substantial competitive edge for many years to come. Above all, it will enable them to accentuate their brands by providing an enjoyable packaging experience resulting in greater consumer satisfaction. Mark Kitzis is the president of Aptar Food + Beverage North America and has 22 years of packaging experience in both rigid and flexible packaging. Prior to his current role, Mark was General Manager, VP of Global Accounts, and VP of Research in the packaging industry. Please visit www.aptar.com and follow Aptar on LinkedIn and Twitter at @aptar. Aptar addresses consumer frustrations with protein powder packaging. In a fast paced and ever-changing world, one thing has remained constant: the importance of health and wellness. Based on recent research from Euromonitor and the Nutrition Business Journal, this trend isn’t going away, but rather expanding, with the global Nutraceutical market growing at an estimated rate of 6.5% CAGR. The main product category driving this accelerated growth is protein products. While this used to be a niche segment only attracting bodybuilders and athletes, today the focus on living a healthy lifestyle has brought many new users who hold exercise and healthy living as a high priority and are integrating protein products into their diets. In 2017 Aptar performed a consumer study with one-on-one interviews to gain feedback on protein products offered today. Our consumer research revealed that users of protein powder products are brand loyal and ingredient conscious, but that they experience frustration with current packages offered today. Consumers expressed frustration with removing liners and digging for the scoop within the powder, as well as concerns about contaminating the product and making a mess when digging for the scoop. Aptar introduces the Olympian closure to address consumer frustrations today. This wide snap-top closure allows consumers quick product access without the need to unscrew the cap Olympian features a BAP® pull-ring liner, which besides providing tamper evidence and sealing integrity, it gives consumers an easy liner removal. Olympian also provides a scoop holder for consumers to attach the scoop to the lid, avoiding mess and product contamination. Learn more about the Olympian closure and request your samples today. Aptar Food + Beverage will showcase at PackExpo a wide range of dispensing solutions and technologies that have been designed to bring differentiation, safety, convenience, and a superior functionality to consumers. Visit us on N-6261 and learn how the latest innovations are growing brands worldwide. Sierra for StandCap pouch: an inverted pouch solution that offers stability and easy storage, while completely eliminating the need for utensils. EZ Pour: a one-piece dispensing pouch with a built-in tamper evident pull ring, providing great pour ability for dry foods. Olympian Closure: a wide snap top closure that provides a BAP® superior sealing performance and easy-open experience, without the need to change existing production equipment. Guardian Light: with an ergonomic and light-weight design, this non-detachable tamper evident closure is leading the way for sustainable solutions for on-the-go beverages consumption. Flip-Lid: a uniquely simple and child-friendly beverage closure designed to remain united with the bottle through its lifecycle and helps to support the mission of increasing the percentage of closures being recycled. Aptar is excited to be selected to provide attendees with insights on “How to Overcome E-commerce Challenges with Packaging Innovation” at the Innovation Stage. We would like to invite you to this free-session, which will be held on booth N-4585 on Sunday, Oct. 14 at 1pm. Contact us at info.fb@aptar.com with any questions. We look forward to seeing you at the show. Aptar is excited to announce its official participation in Amazon’s Packaging Support and Supplier Network (APASS) program. With this certification, Aptar is now providing services directly to vendors, sellers or manufacturers related to packaging design and testing in compliance with Amazon’s guidelines and certification test methods. The APASS program was designed by Amazon to help support vendors, sellers and manufacturers to obtain certification of their products as Frustration Free Packaging (FFP), Ships-in-Own-Container (SIOC) or Prep-Free Packaging (PFP). In addition to being officially part of APASS, Aptar has a wide range of e-commerce capable dispensing solutions such as closures, pumps, fitments, and sealing technologies that help brands protect products during shipping while simultaneously creating an end-user experience that delights. Aptar leverages strong technical expertise to create dispensing and sealing systems designed to pass ISTA-6 testing protocol while fulfilling the primary performance of the package. Aptar also relies on its established relationship with key e-tailers and shipping companies to ensure each solution meets the needs of the supply chain, while leveraging its strong global position to deliver solutions that address customers’ and consumers’ e-commerce needs in each application. Contact us at e-commerce@aptar.com or visit our website to learn more about our e-commerce capable solutions. When it comes to the e-commerce solutions you need, we’re always thinking inside the box. E-commerce has completely changed the way the world buy and sells products. Driven by trends related to technological advancements over the last few years, the growing populations in megacities, as well as the changes in demographics with Millennials and Gen Z being very technology driven, food and beverage e-commerce sales are growing at an incredible rate. As consumers continue to demand convenience in every step of their shopping journey, e-commerce has been challenging CPG’s to adapt to this business model, where the supply chain is not only much longer, but also much more complex. Increased overall cost: brands now need to add supplemental protection to the primary packaging (more labor, time, and materials). As e-tailers are now charging brands back for the additional cost, they are also being entitled to reimburse chargebacks for their own damaged products, as well as pay for other items ruined. Loosing consumers’ loyalty: consumers expect to have the same product experience when buying through e-commerce and brick and mortar. However, the amount of tertiary packaging being added for protection is ruining the consumer experience. They not only have to reach for tools to help access the product, they are also left with a great amount of excess material (usually plastic) that needs to be disposed. In many cases, the tertiary packaging will not completely prevent leaks or further damages inside the box, resulting in returns and even more dissatisfaction. As the CPG’s move to adapting packaging to suit the needs of e-commerce, it is intrinsic that they choose the right partners who can truly help them overcome these challenges, and give consumers the great e-commerce experience they demand and deserve! Aptar has established relationships with key e-tailers and shipping companies to support development of solutions that address the needs of e-commerce. In addition, Aptar is an official participant in the Amazon Packaging Support and Supplier Network (APASS), developing high performance dispensing systems to pass ISTA-6 requirements while providing a great consumer experience. Aptar offers e-commerce capable dispensing closures, pumps, pouch fitments, pressurized products, and sealing technologies, so you can be confident the products will arrive intact. When it comes to e-commerce solutions you need, we are always thinking inside the box. On April 18, the Food & Beverage Innovation Forum (FBIF) announced the winners of the ‘Marking Awards’ in China. Commissioned by Food & Beverage Innovation Forum (FBIF), Marking Awards 2017 is a global packaging design competition which aims to gather world-class designers, promote creative and practical designs. Out of the nearly 400 different packaging designs from 124 organizations worldwide, two Aptar Food + Beverage solutions, Hydrant and Versa Spout, received awards for the categories Technology and Functionality. A jury of 24 selected professionals from top international brands and design institutes selected the best solutions, based on the following criteria: aspect of design, relevance, innovation, technology, utility and integrity, adherence to justice, fairness, openness, high standards, and internationalization. Hydrant is a unique dispensing closure for large format PET bottled water. Hydrant features a handy and soft touch toggle and excellent system built in a two-piece closure (POE + PP) plus venting element. 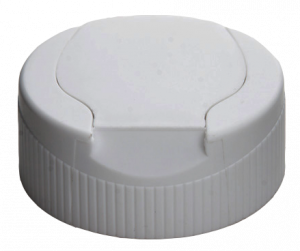 The visible non detachable tamper evident band within the overcap provides product and consumer safety. In addition, the soft POE material offers a simple and intuitive one-hand opening and dispensing, while the venting feature allows for a unique flow rate. Hydrant is a safer, easier, and more intuitive solution, for all ages. Versa Spout is a unique, child-friendly pouch fitment with overcap. Its inner valve makes it easy and safer for toddlers to enjoy their favorite puree, apple sauce, pudding, yogurt and beverages. In addition to a visible tamper evidence feature, its unique child-friendly design meets international toy safety requirements, making it safer for little ones to handle. In addition, VersaSpout is convenient for on-the-go consumption on stand-up pouches. Its built-in SimpliSqueeze® valve technology allows for product flow control, allowing for a clean dispense every time! Aptar Food + Beverage continues to delight and improve the lives of consumers through innovative packaging! Contact us at infofood.gbl@aptar.com to learn more about these and many other Aptar innovations!